Liverpool and Celtic legend Kenny Dalglish. 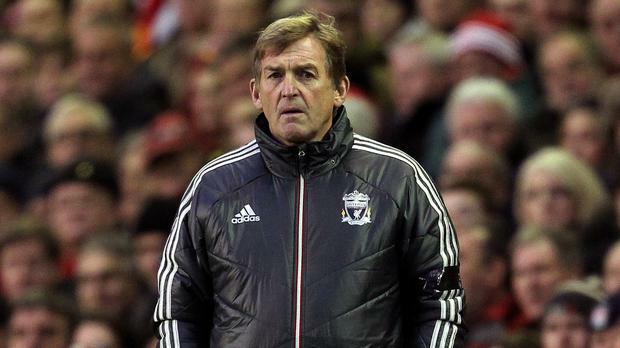 Liverpool and Celtic great Kenny Dalglish dedicated his knighthood in the Queen's Birthday Honours to his family and everyone involved in his career after admitting it "doesn't feel right" receiving the personal accolade. 'King' Kenny, as he is belovedly known by millions of football fans, has become, to give him his full, formal title, Sir Kenneth Mathieson Dalglish. But the 67-year-old will not be signing himself as 'Sir Kenny' and is keen for the work which brought the recognition - rather than the recognition itself - to be the focus of attention. And what a body of work it is. From extensive honours on the pitch - including winning three European Cups in seven years as a player - and lifting league titles with two different clubs as manager to off-field heroics in the wake of the Hillsborough Disaster and his charity work with wife Marina which had raised more than £10million. "Obviously it takes everything you have done in your life into consideration," said the Scot, who joked he thought the citation was a bill from the taxman when it dropped through his letterbox. On the pitch, Liverpool have confirmed the end of Emre Can's Anfield career with the midfielder preparing to join Juventus on a free transfer. The German was unable to agree a new deal and departs after a four-year stay on Merseyside. Liverpool have already replaced him with the £40m capture of Brazilian Fabinho from Monaco. Academy graduate Jon Flanagan has also been released by the club, the youngster spending recent seasons on loan after recovering from a serious injury that derailed his progress at Liverpool. Flanagan was part of Brendan Rodgers' side which almost won the title in 2014, but the following year he suffered a knee injury and was never able to re-establish himself by the time Jurgen Klopp took over.